I admit it, I've once again neglected my own blog, but I have some exciting news to share with you today! I've partnered up with Caesarstone USA and their Interior Collective Blog which is an accumulation of all things design, renovation, and "how to." 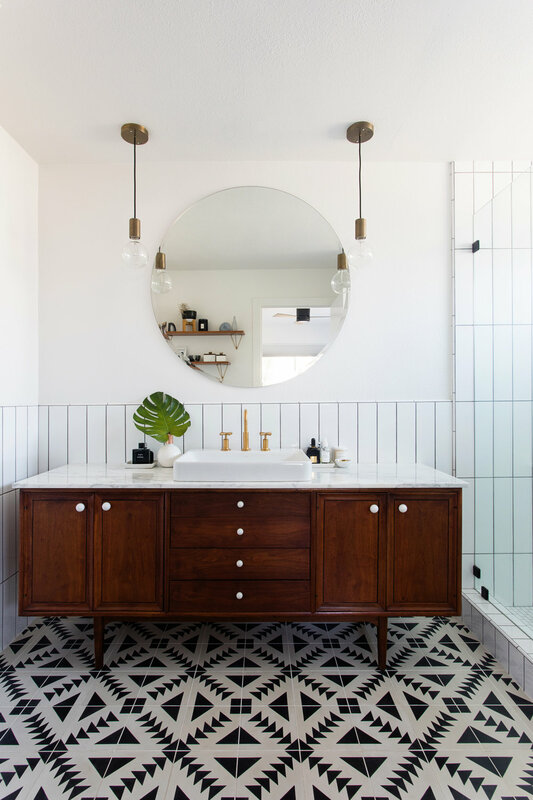 Today, we are talking about transforming a sad bathroom into a Mid Century inspired space. I don't want to give too much away, but if you're looking to redesign a bathroom and need some inspiration, check out the link that I've included below!